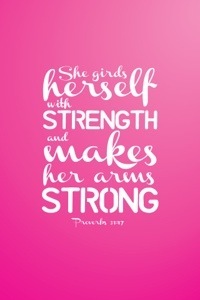 When I read Proverbs 31:17 I was immediately encouraged. Not only is Positivity about a shift in thinking, but a shift in doing as well. Doing things differently takes a lot of effort and if we don’t build ourselves up in all ways, the goal is just that much further away. For me as a woman with a family it is always a struggle to complete a task for myself. I must remember the purpose, the task, and the goal. It is just as simple as choosing the right dress for the right occasion. The results are always positive and successful when there is a plan involved. We must shift our mind from neutral to drive towards our paths of POSITIVITY. Yesterday, after all the months of talking about going to the gym, I actually went and did a great treadmill workout. Excited!! “Size 6, we will meet again!” I realized that in order for me to be that much more positive, I have to feel great in my thoughts and in my body. Just taking that first step felt so fulfilling. You just need to identify it and then work it out. The area can be physical or your total mindset. Whatever area it is, there’s work to be done for the Positive. Take the steps needed to at least get started. Press Forward and Work It Out! Psalm 86:16, 102:28, 103:17; Proverbs 11:21; Isaiah 44:3, 49:25, 54:13, 59:21; Acts 16:31. Your words are so encouraging. I see now why you are such a great designer for “Wrapped Up In His Word.” God Bless!